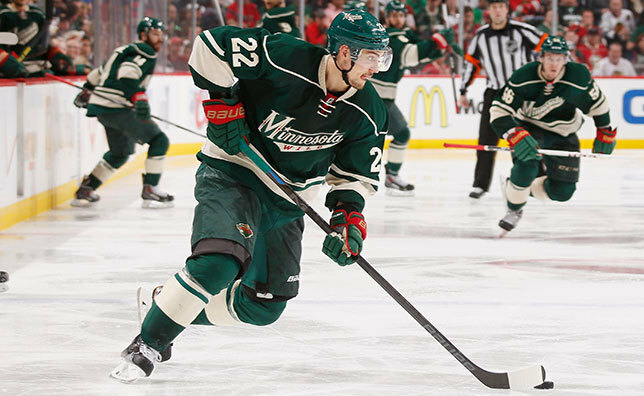 The Minnesota Wild has agreed to terms with forward Nino Niederreiter on a three-year contract. The 22-year-old recorded 36 points (14-22=36), a plus-12 rating and 44 penalty minutes (PIM) in 81 regular season games during his first season with Minnesota in 2013-14. He established career highs in every statistical category and ranked second on the team in hits (175), tied for third in goals, fourth in plus-minus rating and fifth in shots. The 6-foot-2, 209-pound native of Chur, Switzerland, added six points (3-3=6) and led the team with 40 hits in 13 playoff games. Niederreiter tallied the game-winning goal in overtime of Game 7 at Colorado on April 30 to become the third player in NHL history to register his first two playoff goals in a Game 7 and the second youngest player in Stanley Cup Playoff history to record an overtime goal in Game 7. He also netted the game-winning goal in Game 4 vs. Chicago on May 9. Niederreiter skated in four games with Switzerland at the 2014 Winter Olympics. He ranked tied for sixth in the American Hockey League (AHL) with 28 goals in 2012-13 and added 22 assists and 38 PIM in 74 games with Bridgeport. He also led Switzerland with five goals, and added three assists in the 2013 IIHF Men’s World Championship, as the Swiss earned a silver medal – its first World Championship medal in 60 years. Niederreiter posted three points (2-1=3) and 20 PIM in 64 games in two seasons with the New York Islanders (2010-12). He was originally selected by the Islanders as the fifth overall pick in the 2010 NHL Draft and was acquired by Minnesota on June 30, 2013 from New York in exchange for forward Cal Clutterbuck and a third-round selection (Eamon McAdam) in the 2013 NHL Entry Draft.